Did you know that your front door makes a statement about who you are to every person that walks through it? 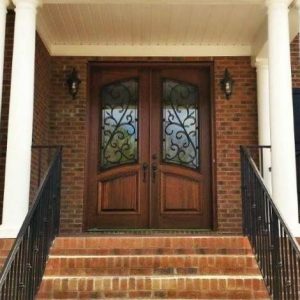 Whether you are selling your home or you need to replace your current door, Southern Front Doors is your one-stop shop. A simple visit to our showroom says so much about the wide variety we have waiting for you. Some of our selection in our Amazing Selection & Largest Inventory includes Narrow Profile Forged Iron Doors. This door comes with double insulated fixed glass and an adjustable sill. A steel jamb is used on this pre-finished piece, more importantly, this is a must see! The impeccable work that Southern Front Door does will last for decades. This investment in your home will at the end of the day, increase the value. A reward to some is a personal purchase such as clothes, designer shoes or maybe an expensive wallet. Why wouldn’t you want to reward yourself with an investment in your home? Glass-Craft Door Company and MAI Door Company. Steel Doors Southern Front Doors offers door and glass components sold individually or as pre-hung units. We have our own pre-hang and pre-finish department, so we can fill any of your door needs. Door units and components can be shipped anywhere within the continental United States and Canada. 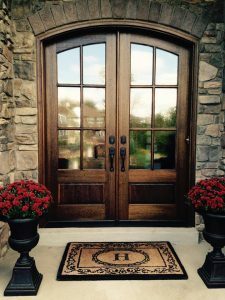 We also create custom entry doors to your specifications! A reward to some is a personal purchase such as clothes, designer shoes or maybe an expensive wallet. Why wouldn’t you want to reward yourself with Amazing Selection & Largest Inventory? Every single person that comes in contact with products will see your hard work and success. We have what you want and you need what we have consequently, we can work tandem together. Southern Front Doors has an incredible showroom that you can take your time browsing around in. Once you decide on a glass, we will have an installer come out to your home to take measurements. Installation happens at your convenience once the door arrives at our shop. Come to our showroom on the city’s north side, 11234 Jones Road West Suite B Houston, Tx. 77065 between 9 a.m. and 5 p.m. Monday through Saturday. You can also reach out to us 281-890-5860 or simply visit our website today.